Most of the United States and Canada have already had their annual first encounter with the winter season. If you haven’t already done so, now is a good time to start thinking about winter car care. Winterize your car now and prepare yourself and your vehicle for the rough months ahead with these tips on how to prepare your car for winter. Taking care of your tires is perhaps the most important part of winter car care. After all, your tires are working overtime in extreme winter weather, hugging surfaces that become slipperier by the second. When you winterize your car, there are two considerations in regards to tires. You can stick with your current set or install winter tires specifically designed to handle icy conditions. If you live in an area where snow and ice are common and you absolutely have to commute in these conditions, it is probably a good idea to invest in a new set of winter tires to get you through the season. Winter tires are typically molded with deeper treads and help maintain control and stability of your vehicle in icy conditions. Winter tires are recommended for climates with consistent temperatures below 45 degrees Fahrenheit, because they don’t harden and lose pressure as noticeably as all-weather tires when it gets cold outside. If you opt to stick with your standard all-weather tires, pay special attention to any remaining tread life when you winterize your car. Keep in mind that handling begins to deteriorate once tires go below 4/32 depth, and worn tires won’t grip the road as well in icy conditions. Also be sure to check tire pressure often in the winter. For every 10 degrees the temperature falls, a typical tire loses an estimated pound of pressure. Because of this, many vehicle manufacturers recommend inflating tires with 3-5 more PSI than your vehicle’s ownership manual advises in the wintertime. When you winterize your car, pay special attention to your battery. Car batteries lose 33 percent of their power when temperatures fall below freezing and 50% of their power when temperatures dip below zero. Under these conditions, it takes up to twice as much current to actually turn over a car engine. Think back. When was the last time you changed your car battery? Typically, car batteries last 4-5 years, and in some cases, much longer under normal wear and tear. If you have had your current battery for longer than three years, have it tested, as batteries rarely give any noticeable warning signs before giving out. Otherwise, be sure to clean all posts and connections of any corrosion with baking soda, water and a small wire brush. It’s always frustrating to stand helplessly in a parking lot next to a stalled vehicle. It’s even worse in cold, uncomfortable weather. That’s why proper battery maintenance is an important part of winter car care. If your vehicle is due for a tune-up, have it done before winter sets in. Vehicles have to work harder in the winter due to cold weather. Hard starts, sluggish performance and rough idling can be magnified during these months. Get your brakes checked. These are the most important safety item on your vehicle, and they are even more important during the winter months when traction can be low. Also be sure to inspect your vehicle’s belts and hoses. While these do hold up for quite some time, cold weather can accelerate their demise. After cranking the AC all summer, it’s also time to fire up your heater to ensure it and your defroster still work properly. These components will come in handy. Check your antifreeze levels and ensure you have at least a 50/50 mix of water and antifreeze. Many antifreezes come pre-mixed, but if you are mixing your own antifreeze, remember that water freezes at 32 degrees and a 50/50 mixture of antifreeze and water won’t freeze until temperatures reach -34 degrees. If you live in a cold climate, consider switching to a winter ratio of 60/40 Antifreeze to water. During the winter, you will want to switch to a thinner, less viscous oil to deal with cold temperatures. If you typically run a 10W-30, switch to a 5W-30 for the winter ahead. Your windshield wiper fluid is another important fluid to check when you winterize your car. Check and fill your fluid reservoir with a wiper fluid that has been mixed with a de-icer to prevent your windows from fogging up or even worse, freezing when sprayed. Inspect your wiper blades and change them if they are more than a year old. Wiper blades in particular take a real beating during the winter months. Your headlights get a lot more use in the winter. It’s going to be dark out when you get off work and in many states, law requires you drive with your headlights on when snow is falling. Headlights are even more important in areas where deer roam free in the winter. First and foremost, make sure your lights work. This includes your headlights along with all flashers and signals. Check to see if your headlights are foggy, as this can contribute to decreased visibility, which doesn’t mix well with winter. Now may be a good time to clean up your headlights, either on your own or through Dent Wizard’s headlight restoration services. You don’t only have to know how to prepare your car for winter, you also have to prepare yourself for the unthinkable: an unexpected breakdown this winter. It’s a good idea to either purchase or build a winter weather emergency kit to store in your trunk through the winter months. Ideally, the other winter car care tips provided will ensure your vehicle is ready for winter, but just in case, this is a lifeline you can’t go without. Now is also a great time to put your windshield scraper in your vehicle, if you tend to be forgetful. Now that you know how to prepare your car for winter, take to the roads knowing your vehicle is ready for whatever old man winter throws its way. Do you winterize your car? 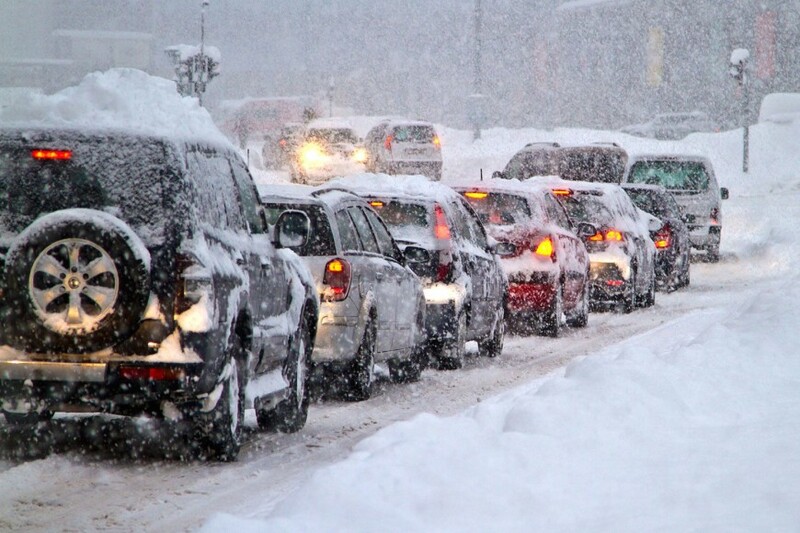 What is your craziest winter driving story? Share your thoughts and stories with us on Facebook and Twitter and look out for more tips and advice from Dent Wizard, the world leader in total automotive SMART (small to medium area repair techniques) services online at www.DentWizard.com! Keep taking care of car in winter season is a tough most work you ever to do. Your tires are working over time in extreme winter weather so there is a chance of slippery surface. It is probably a good idea to invest in a new set of winter tires when it gets cold outside. It’s always frustrating to stand helplessly in a parking lot next to a stalled vehicle in winter, so proper battery maintenance should be done in this season. You must keep your brake system, fluid level, coolant fluid, condition of air-conditioner, wiper blade in tip-top condition by maintain properly. As winter arrives it brings excess cold with it, which cause adverse effect on the different parts of the car. So paying attention to the condition of your car’s tire, brake system, wheel help you to provide a good memorable ride. Putting right amount oil in your car will lead to keep your engine free from getting damaged. Adding qualitatively coolant also keeps your car’s engine free from getting overheated. You also check all the wiring connection of your car to sure about its lightening system. Thank you for sharing such an useful post with us. Cars are nothing but machines, machines are very sensitive to cold, and prone to being damaged. So they required high maintenance during winter.Tire pressure fluctuates with the change in atmospheric temperature, so needed to be maintained regularly. 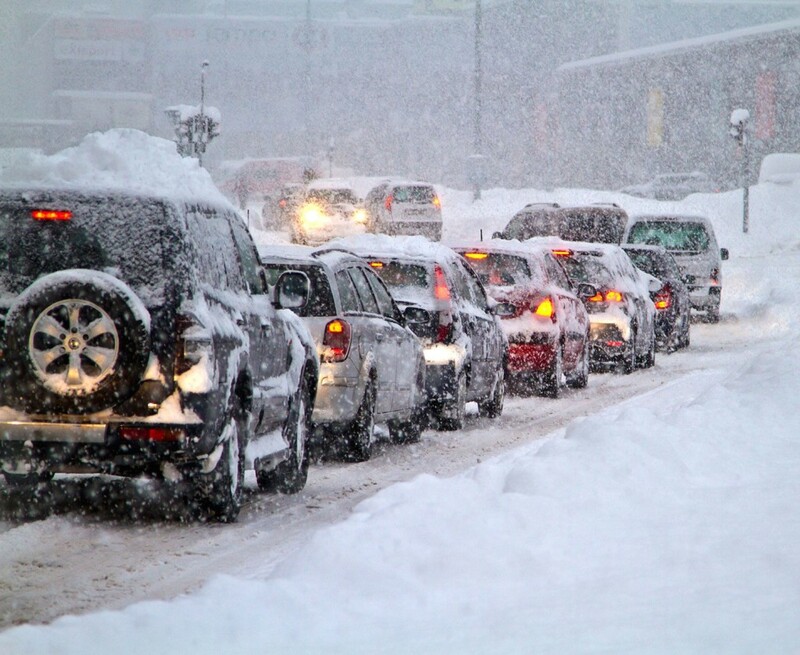 Don’t use under-inflated tire during winter, as they may cause an accident and your car will consume extra fuel. Tire tread should be checked at a regular interval, as less tread in your tire may cause an accident, as they produce less friction on snowy surface. It is better to use winter tire than that of ordinary tire. We have to take some extra care of our car during the winter season. Tire pressure and tire tread depth should be regularly checked and if needed the tire should be replaced with the new winter tire as they produce more traction on the snowy surface than any other ordinary tire. Another thing affected during winter is the battery of the car. If the battery is old enough then it should be replaced with the new one. Car service should not be skipped at any cost. And most important this is that we should take an emergency kit with us. Those links you provided here are very useful.